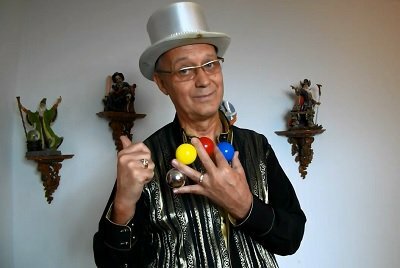 Top stage magician Peki reveals in this video several of his well kept secrets for billiard ball manipulation. Peki was German Champion, European Champion and was awarded second and third place at FISM in manipulation in 1979 and 1985 respectively. He is considered one of the best stage manipulators in the world. Additional to the tips he shares you will be able to see historic footage of some of his performances.